1) Many thanks for Monica Peters and Howard Kummerman for a fantastic Demotion Party at the Whittier Museum. Great atmosphere, great food, and plenty of great Rotarians and guest have a fun time witnessing the peaceful transfer of leadership from Owen Newcomer to yours truly. Thank you, Owen, for your year of splendid service to our club, where you ushered in the new era of our “Associate Membership”, the once per month evening meeting, and many significant service projects. I’ve got some big shoes to fill, but you’ve given me the gouge and I’m ready to hit the deckplates running (you’ll get your fill of Navy slang over the next year. Please raise your hand if you need me to explain anything). 2) If you’d like to read the portion of my address from Saturday night where I spoke about the 2018-2019 Rotary International Theme of “Be the Inspiration”, please click here: http://whittierrotary.org/president-retts-be-the-inspiration-address/ Ross Gile will be posting the video of the Demotion ceremony and my speech in the near future (I enlisted into action Ross before he has become an official member – thank you, Ross!). 3) Tonight at 8:00 pm at the Vic Lopez Auditorium at Whittier High School will be a free Organ Recital from the amazing 1926 Mighty Wurlitzer Pipe Organ that our own Whittier Rotarian Dave Harris played such a large role in brining to Whittier and back to life.. If you haven’t experienced this organ firsthand, treat yourself tonight. Did I mention that it is free? 4) Speaking of the opposite of free, I will be emailing to you within the next week or so your 2018-2019 Commitment Form, where you give the club an idea of the level of your time, talent and treasure you would like to contribute to the club during the next year. Please start thinking about the committees you’d like to serve on. More info to follow. 5) Last night I emailed to each member a request to Verify and Update your Rotary Information. If you are unable to login or otherwise edit your information online, please email your updates to meand I’ll gladly do it. IMPORTANT – please be sure that you have a current “headshot” photo. If not, please have someone snap one of you, or as me to do so after our next meeting. I will be requesting to our Board that we publish a paper directory like we had many years ago, and your photo and updated information is critical to the directory being accurate and useful. 6) Wednesday is Independence Day. Please have a safe and sane day of celebrating our country’s freedom andindependence. 7) Thursday at 7:30 am at Marie Calendar’s on La Serna Drive is our Board of Directors meeting. I will be sending out an agenda tomorrow. Please email or call me if you have any items you wish to discuss. We have eleven members on our board, but all Club members are invited to attend. 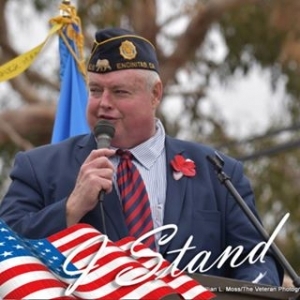 Lewan is past Commander of Encinitas Post 416, a former naval officer, insurance executive, passionate fundraiser for various veterans organizations, and the Voice of the San Diego Polo Club for the past 28 years. Steve is a brother to me, and he will be to you, too, after his brief time with us Friday. 9) July 11, Wednesday at 6:00 pm at Nixon’s Chops & Whiskey, 13033 Philadelphia Street in Uptown, will be our first Evening Meeting of the new Rotary year. At 6:30 pm I will preside over a short meeting, with the intention of bringing more “Rotary” to our mostly social evening meetings. Please come armed with any service project and fundraising ideas you may have been thinking about, just awaiting the perfect moment to unleash on our Club. Wednesday is the time! 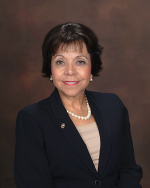 10) July 13, Friday at 12:10 pm is our District Governor’s Official Visit to our Club. Lucy Walther is big on Initiative, Example and Enthusiasm (see Rett’s Saturday Night Address for context). DG Official Visits are supposed to be memorable, and I will be conspiring with the Board on Thursday with some ideas I have to make it so. It is important that we have as many members in attendance to bring DG Lucy good luck on Friday the 13th! ***Please notice that in #8 and #9 above that I do not refer to the “Cocktail Group”, “Associate Meeting” or “Regular Members. We are one Rotary Club with multiple meeting opportunities. All of you are invited to attend any or all of these opportunities for fun, fellowship, personal growth and Rotary knowledge. The more the merrier! ***Also, we owe a courtesy to our speakers to give them the largest audience we can. We are privileged that they are volunteering their time to present to us on topics of their expertise and experience. We need to reward them with our Rotary fun and fellowship embodied in our attendance. Oh, and bring a friend, too.